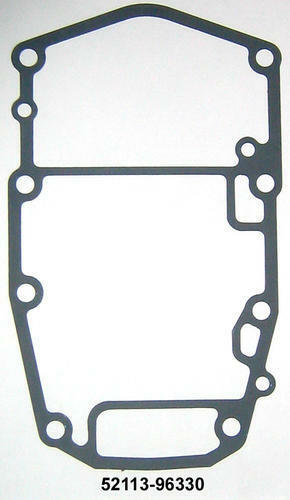 We are manufacturer and exporter of Outboard Motor Gaskets 52113-96330. Incepted in the year 1980, we, "India Automotives" is an eminent company which is involved in manufacturing and supplying a wide array of Automobile Gaskets, Tractor parts, Forklift Parts, Cylinder Gaskets, Engine Gasket Kits and many more products. Our products are manufactured from best quality material that we source from leading vendors of the market. The products of our company are highly demanded in the market for its usage in industrial, commercial and many more areas. These products are provided by us as per the industry standards and quality standards. Our products are also made as per the specifications given by the customers on order. The products we offer to the customers are easy to use, sturdy and provided at industry leading prices. Customers like our products for their long lasting life, effective usage, rust free nature and many more qualities. The spare parts offered by us are used in four-wheelers such as cars, buses and trucks. These are used when the original parts do not function properly or lose their efficiency over a period of time. Our products are stringently tested by our team of professional quality auditors prior to dispatch.